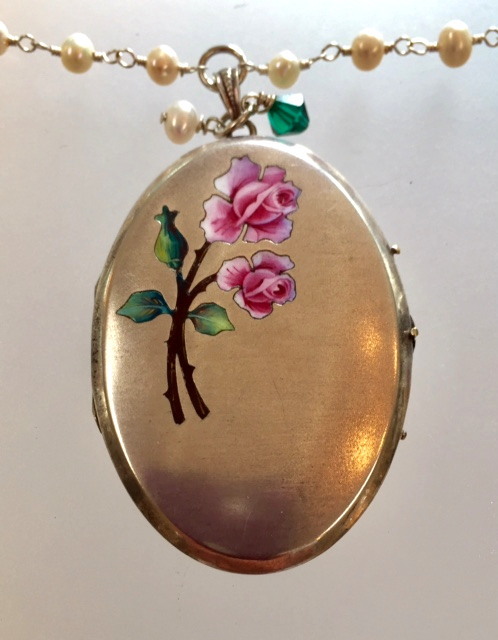 This superb larger C1920’s Art Deco Sterling silver Guilloche enamel locket with Pink Roses ground has been made into a pendant on a strand of genuine White Freshwater Pearls. The inside has a place for photos of two loved ones. Original sterling frames are in place to secure your photos . 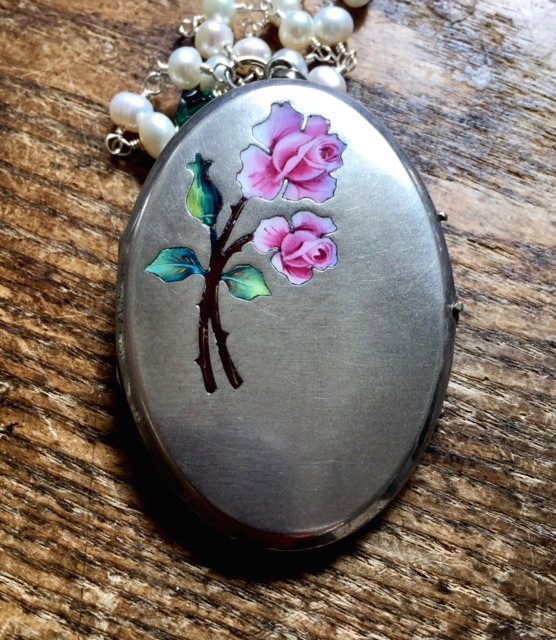 These lockets are a rare find indeed, so don't let this one pass you by...just in time for a Holiday GIFT!!!! 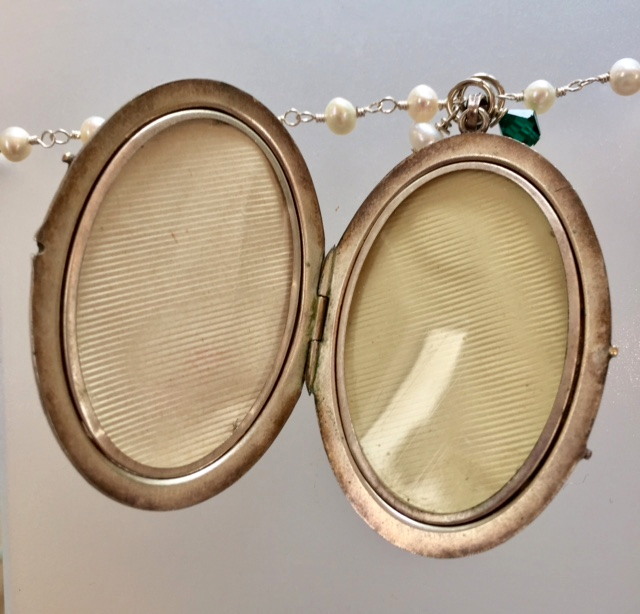 Locket measures just over 2" tall by 1.5" wide, Pearls are 33" Long.